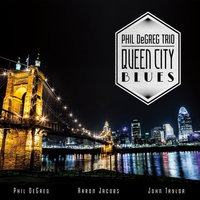 Jaunty recordings like pianist Phil DeGreg's latest Queen City Blue are what we all need from time to time to just kick back and catch our breath for a few minutes or drive from here to there without all the pressing needs, traffic roadblocks, and political wrong-headedness closing in. No grand statements, no big names. Just three trusted, Ohio-based jazz journeymen, exponents, advocates, and devoted educatorsDeGreg, along with studied bassist Aaron Jacobs and solid time keeping from drummer John Taylorplaying the music they love and testify to daily. Queen City Blue is a sturdy mix of DeGreg originalsthe driving blues/bop of "Westside Getaway," "Queen City Blue,"while the melodic bounce of "Fountain on a Square" captures the shimmering nighttime gleam of Cincinnati quite nicely. These sit well alongside concise, trusted renderings from the Great American Songbook, including Gershwin's ever listenable "Embraceable You," Kern's "All The Things You Are," and Victor Young's "My Foolish Heart." The trio also ventures sure-footedly into bassist Steve Swallow's signature "Falling Grace." 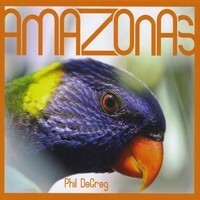 With the inclusion of a full-bodied take on Antonio Carlos Jobim's "Favela," Degreg, producer and leader of two previous recordings with Brazilian musicians, brings to Queen City Blue his heartfelt understanding of the music and its people.